Everybody knows what players do during a soccer match – well, they play soccer. But wouldn’t it be interesting to know what fans do during the matches? 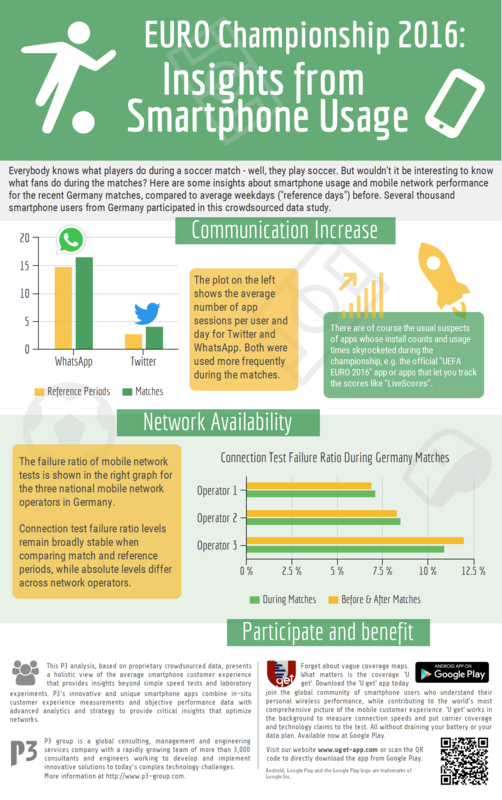 Here are some insights about smartphone usage and mobile network performance for the recent Germany matches, compared to average weekdays („reference days“) before. Several thousand smartphone users from Germany participated in this crowdsourced data study.